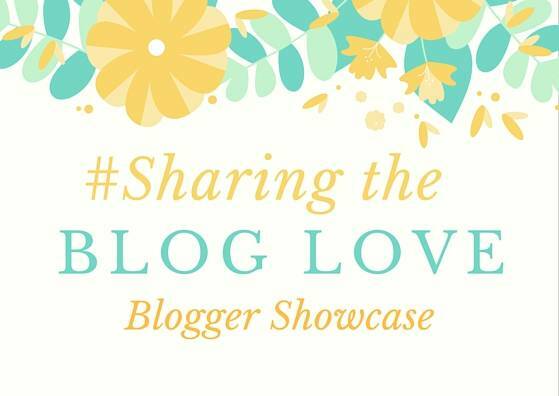 Welcome back to this weeks #SharingtheBlogLove Showcase. The place that I share with you my favourite posts from last weeks #SharingtheBlogLove linky. Katy and I love reading all the posts and it doesn’t get any easier to decide which ones to showcase. We live in a world where mobile phones play a massive part, I don’t know anyone that doesn’t own one. Over time they have gone from being a device that I phoned people on and sent text messages, to so much more. In fact I hardly ever use it to phone people anymore and that does make me feel a bit sad. I feel like I have become reliant on text messages, whatsapp and messenger. When I read Eilidh post, Why I’m Breaking Up with my Phone, it definitely got me thinking about the amount that I use my phone. It so easy to pick it up and check to see if I have a new email, has someone posted something on Facebook, the list is endless. But I also don’t want to miss those precious moments with my girls and I am making more of a conscious effort to leave my phone alone whilst I am out and about. I LOVE fudge! In fact if there was ever a self help group that I should go to, it would be fudge craving anonymous. Someone only has to mention the word and my ears prick up. Why? Because when my mum was pregnant with me this is what she craved. She would take my brother for a walk to the shop every day and buy 2 bars, she would eat one on the way home and keep one for the evening. Yes, she ate two bars everyday! One of the hardest things that I’ve found as a parent is all the things that I no longer get to alone. Like go to the toilet or have a shower without a small person peering through the glass and so much more. When I read this post, All I want to do is… , I could relate to it so much. To have a dinner where I don’t have to share any of mine, sounds like heaven. If you missed this one last week, I would pop over for a read. Like Sarah I am a summer girl, I am always the last person to put their flip flops away and admit its too cold for them. But, this year I have embraced Autumn so much more. Maybe its because we’ve been lucky with some lovely sunny days, but there are so many reasons to love Autumn that I forget about. Until I read, 10 Reasons to Love Autumn, and this reminded me of so many things that make this time of year great. I mean who doesn’t want a lazy afternoon snuggled on the sofa or the biggest mug of hot chocolate after a lovely Autumn walk. If you missed any of these last week, why not head over now. I promise you won’t be disappointed! Love Organised Jo’s post. So relatable. Of course, they are all super! Really want to make that fudge! I loved Jo’s post, I can definitely relate! some fab choices there, especially the autumn one – I adore autumn – it’s my fave time of the year. I’m avoiding reading Eilidh’s post (and avoided it every time I saw it on social media) because I suspect it will make me feel guilty. I am addicted to my phone, I know I’m on it too much around my kids, but it’s my life line. So I read Jo’s instead which made me feel much happier about my life. Thanks for hosting this linky! It’s the first time I’ve joined in but I am so happy I have! Love the first one “why i’m breaking up with my phone” Most of us can relate to this. For me, All I want to do…wins! And the other posts are pretty amazing too! So glad I joined your Linky! !